HAS DEPOSIT! 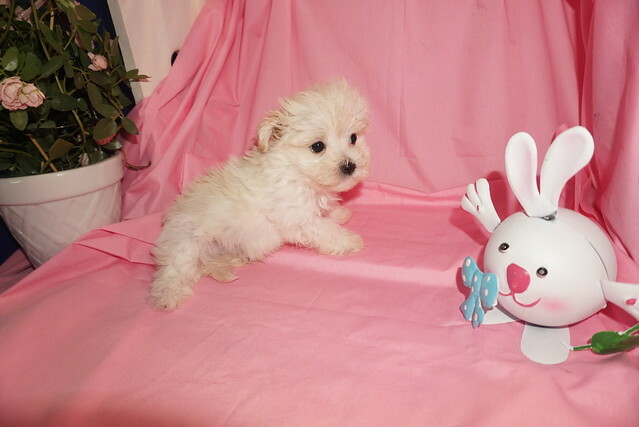 Ryan Gosling Gorgeous Male CKC Maltipoo Litter Says Lets Make A Family Happen Today! Ryan Gosling is one of four boys in this litter of four (Sorry no girls in this litter) and the name theme for this litter are male actors You can’t go wrong with Ryan Gosling as you can see he is a gorgeous cream color Maltipoo with the tiniest amount of white just above his nose. His hair is so soft it will entice you to run your fingers through it. He is just perfect in every way and has his full tail. His adult weight is estimated to be 7-8 lbs Don’t take to long to decide he won’t last long! « HAS DEPOSIT! Channing Tatum Smallest Male Of His CKC Maltipoo Litter!